I rummaged through my hair supplies and decided to use a paddle brush it was really my only option that and a soft bristled brush ( old school), and I needed to get through some serious kinks. While my hair was wet I noticed some snagging and bit more shedding when detangling. But girl… when I got out the shower to style my hair I found more tangles. My hair was no longer dripping wet and baby I felt and heard every stroke of the brush. The brush was entirely too rough.I lost the most hair that I have ever lost on wash day. I could literally hear it ripping through my hair. Don’t get my wrong I am not knocking the paddle brush. I am however, saying be mindful of how you use it, on curls it’s a no go for me.But, if your hair is blow dried out or you’re rocking a fluffy fro( no curls included )by all means knock your self out or, better yet your hair is in a protective style rake away. If you are doing your hair in its curly state I would not recommend it( unless you are prepared for a lot of shedding). The moral of the story is don’t just detangle be mindful what you detangle with. 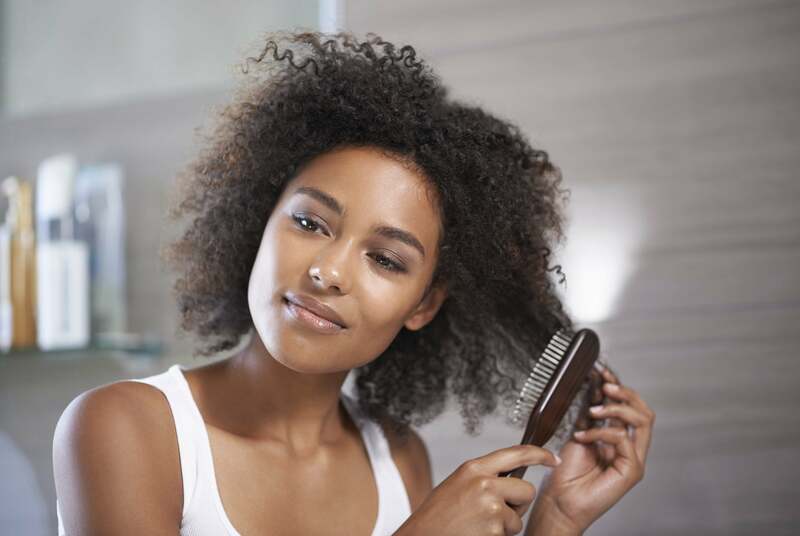 Detangling with your hands should be at the top of the list then the wide tooth comb and brushes designed with your hair texture in mind like the Denman brush and others.Remember, be happy, be curly, be you, and you will never fail. This Post was posted in Wash Day Chronicles and tagged afros, curly hair, hair tips, healthy hair, natural girls, natural hair. Bookmark the permalink.